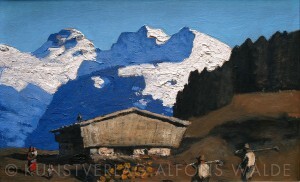 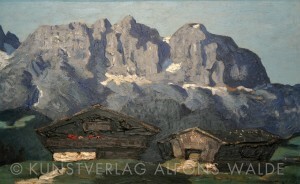 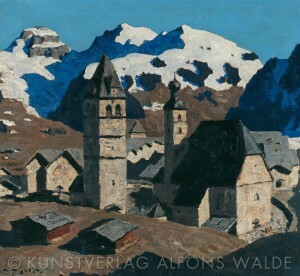 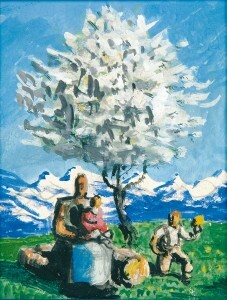 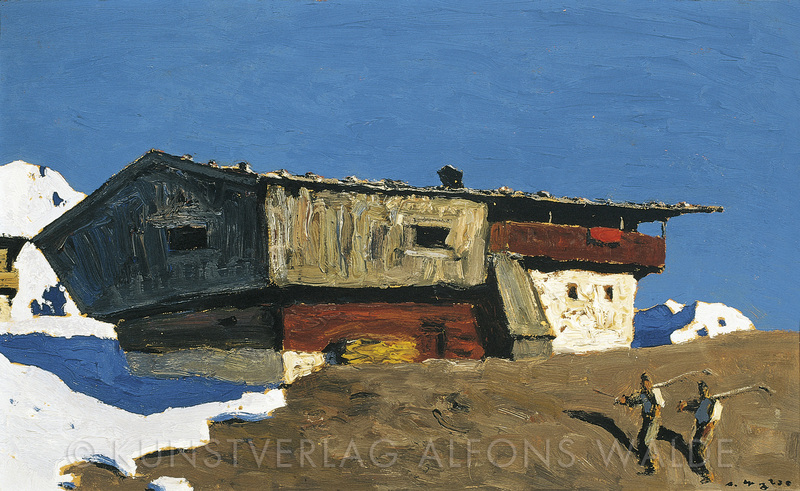 As exemplified by Frühling in Tirol (Springtime in Tyrol), Walde frequently chose “generalized” titles for his paintings that clearly indicated the season, with an eye toward heightening their commercial appeal. 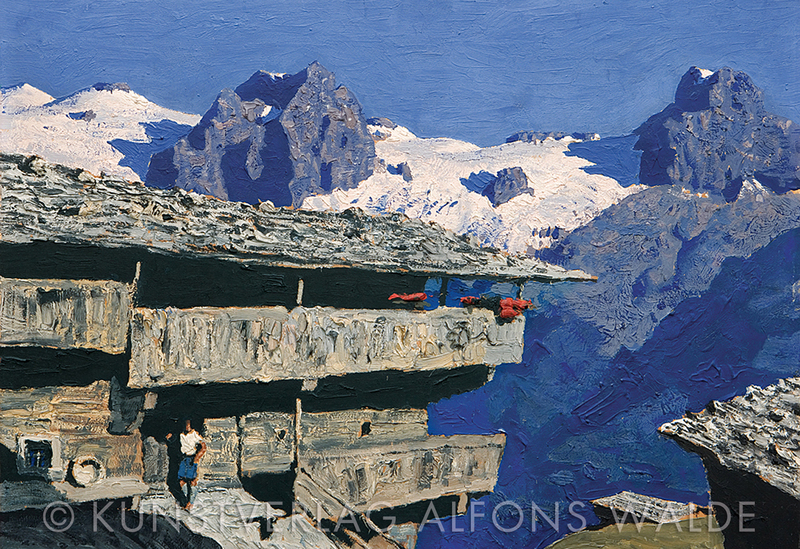 Best known for his winter landscapes, Alfons Walde was actually a painter of all seasons. Regardless of the particular period in his development, it was Walde’s extraordinary ability to master both light and perspective in his landscapes, with a sensitivity and strength of expression all his own, that ultimately created his very authentic style; authentic in the sense that, through skillful application of color and compositional techniques, he managed to invariably capture the “right” mood of the given day and season. 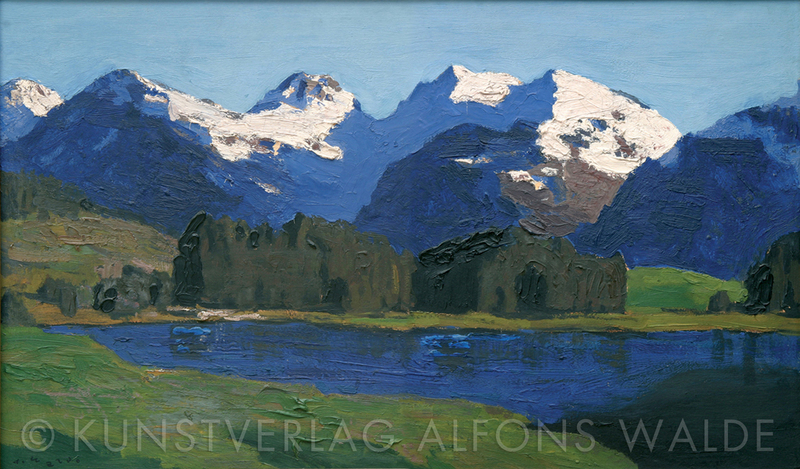 It is an authenticy that frequently leaves viewers feeling as if they were actually standing in the midst of one of Walde’s landscapes. 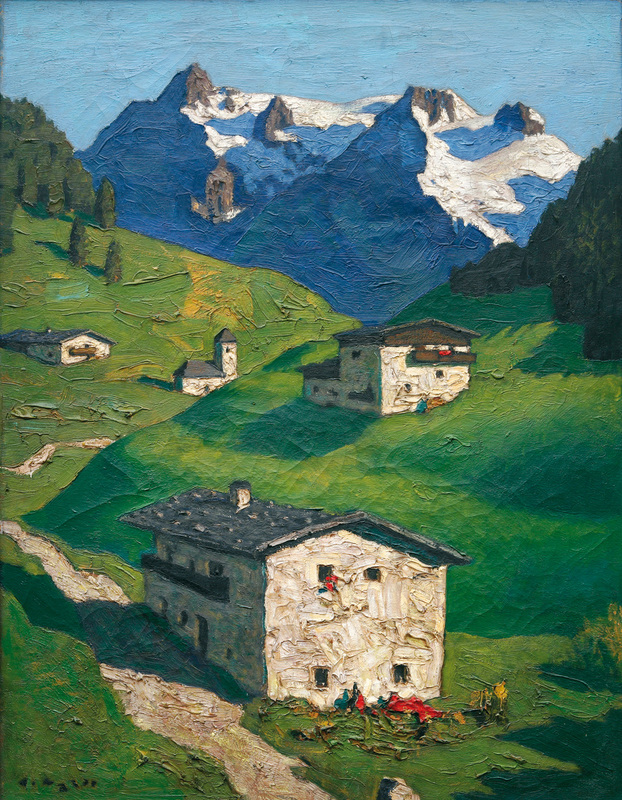 Walde produced many small, square-format oil paintings on cardboard, with thick, rounded, wooden frames that were designed and painted in off-white by the artist himself. Most frequently, the viewer encounters motifs of landscapes, forest clearings, houses, farms, chapels, religious crosses marking the local paths, and other scenes typical of the area around Kitzbühel; motifs from the micro-universe that surrounded the maturing artist, many of them long since disappeared or dramatically altered in appearance. 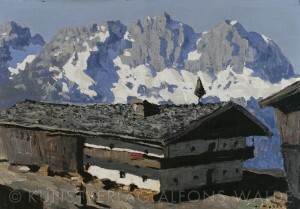 Regardless of theme, the viewer is continually invited to experience Walde’s innermost moments of perception and emotion when looking at these unique, intimate “visual thoughts.” Secluded from metropolitan life, this genre finds itself reduced to an idyllic view that is, ultimately, indebted to its own mentality. 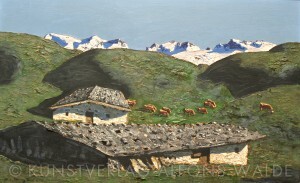 Such interpretation might sound a little sentimental, but rejection of the urban lifestyle and a strong yearning for increased control over the immediate “living space” are quite evident in the artist’s work.